I have shared before how my husband is not a handyman, nor tries to pretend to be. While it would be nice to have someone who is handy to tackle jobs around the house, I know when it is time to call in a handy to fix things. But, there is one thing my husband can do and that he likes to show off -- he can switch out a showerhead in a matter of minutes. 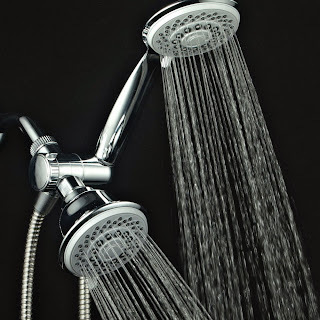 Laugh now, but recently, he switched out a basic showerhead we had in our bathroom to the AquaStorm by HotelSpa® 30-setting SpiralFlo 3-way Luxury Shower Combo I was recently sent for review, and after trying it out, I felt like I was at a spa or fancy hotel, enjoying a nice relaxing rain shower. 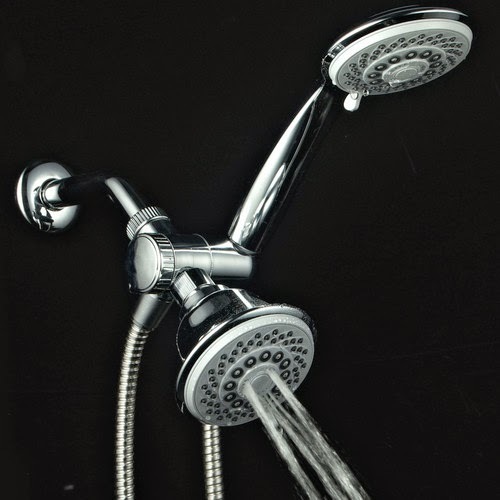 And, to think that this dual showerhead is only $27.87. For the amazing bath experience you get, you think you would be paying more for this 6-setting 4" face shower head. HotelSpa® 30-setting SpiralFlo 3-way Luxury Shower System - Use each shower separately or both together! 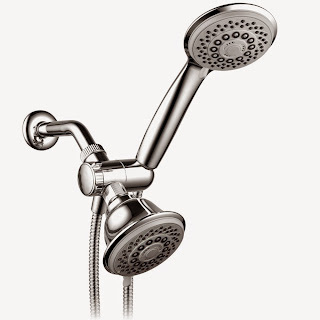 Like I said, this showerhead has 6 settings for your to choose from. You can choose to use each shower head separately, or both together -- a feature that I absolutely love. 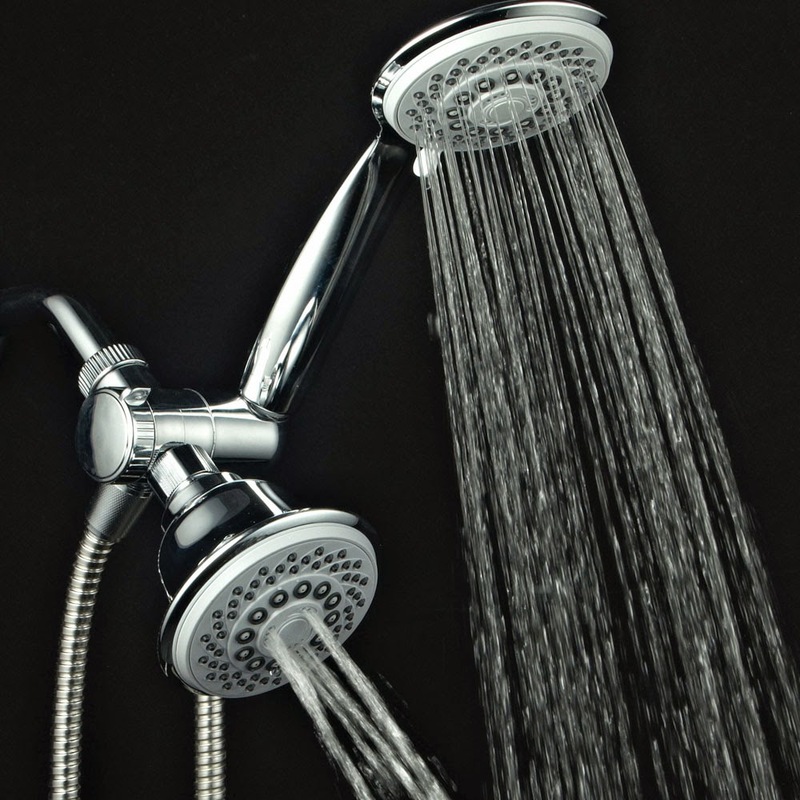 In total you can choose from 30 full and combined water flow patterns to make your shower experience oh so relaxing, especially after a long day with the kids, or first thing in the morning after being up all night. Switching between the settings is easy thanks to the 3-zone click lever dial. 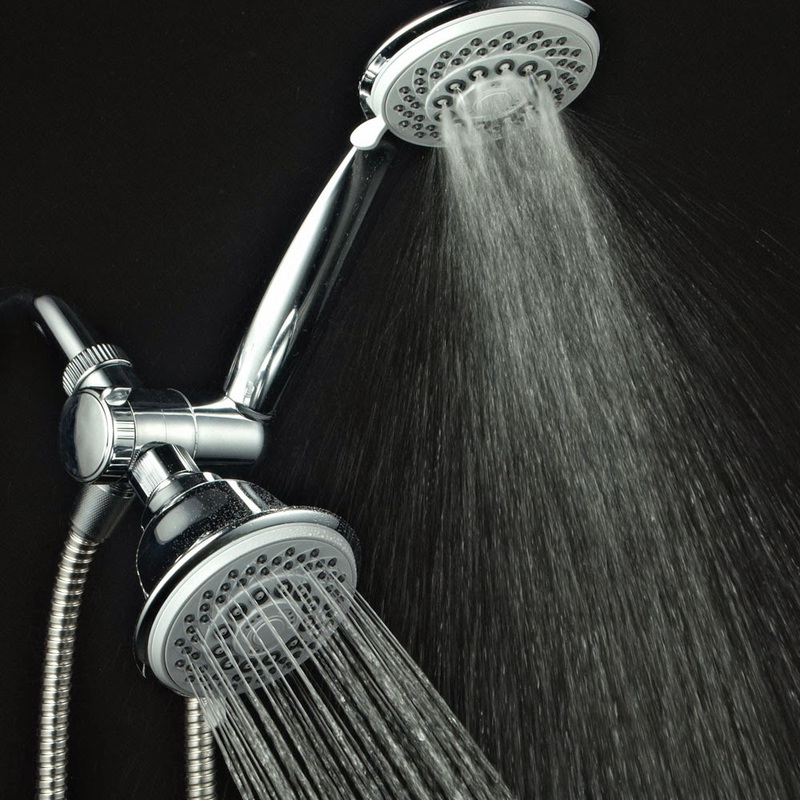 And, if you are showering or bathing your child in your tub, you can remove one showerhead and use as a hand shower. This feature sure has come in handy when I am trying to wash the soap out of my girls' hair, or just want to give them a quick shower after playing outside or in the pool. 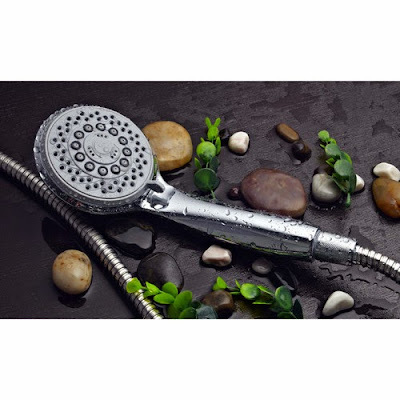 You will also receive a Lifetime Limited Warranty is provided by Interlink Products International, Inc, which will provide you peace of mind with your purchase. 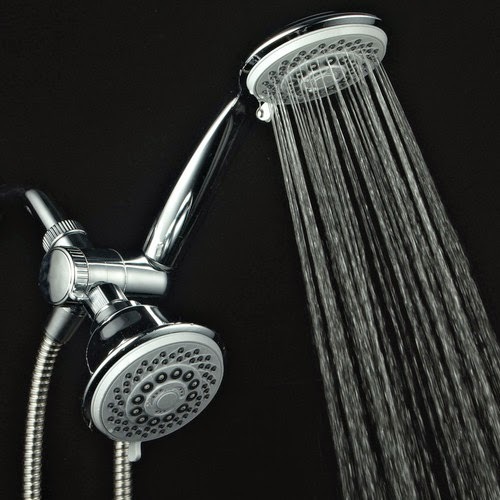 But, the best part of this showerhead install is that there are no tool needs. It is a tools-free install -- thus making my husband extremely happy, as he didn't have to search through his tool box for certain tools he may not have, just to install this showerhead. Boy would I love to have one of these I like that there are six settings.